One of the most beautiful buildings I have ever seen, the Mumbai Victoria Terminus train station stands as a glorious testament to 19th century architecture in this city of nearly 14 million people. 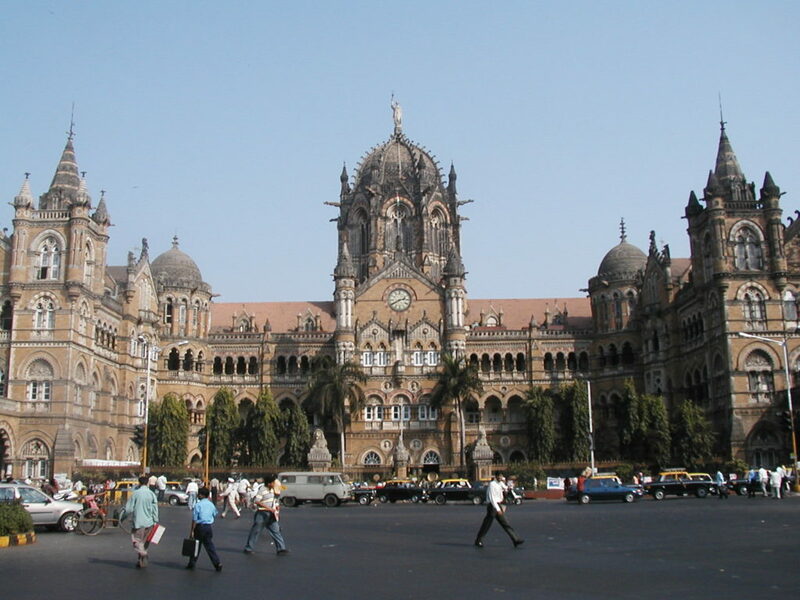 It has been renamed Chhatrapati Shivaji Terminus. The famous landmark, built in the Gothic style, was designed by Frederick William Stevens, in 1887-1888 and took 10 years to build. As we approached the station by foot we crossed through a huge park, weaving our way in and around several pickup cricket matches.